Elevations below 3,000 feet have been waiting…waiting…waiting… and then, *snap* just like that, the trees went into full-on color. What usually is a gradual build-up to peak color is a “BAM, there is is!” peak in fall foliage this year. This is the fastest we have seen green leaves change to gold, orange and red in the ten years we’ve been here. Sure, there were already some trees that had changed, but now they are all on board the fall color train. Daytrip Destination Drive #1: The Meadows Trail at Biltmore. The Meadows Trail is a sweet trail at Biltmore, part of a 22-mile trail system on the estate. Take one of the serene nature paths from Biltmore House to the Bass Pond and follow the signs for the Meadows Trail, which is about a 1/4-mile long. 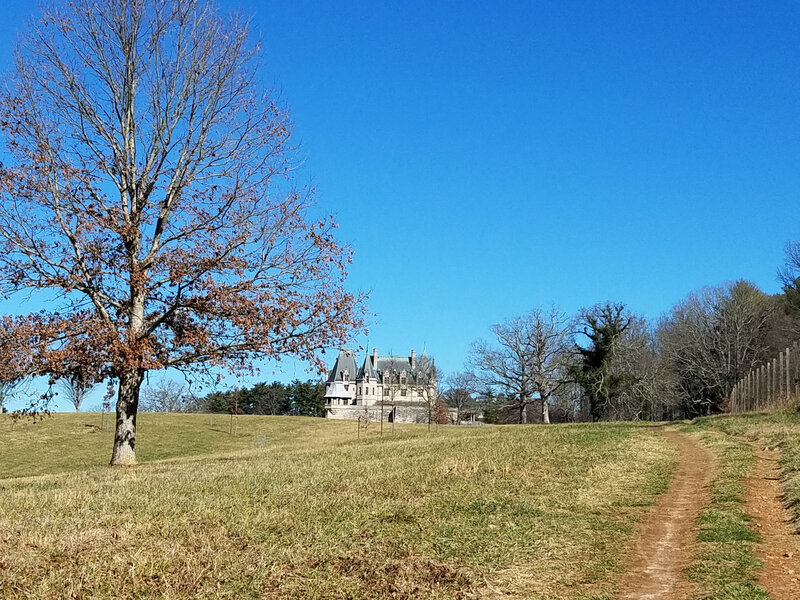 You can then take the Meadows Trail on a return trip to the back of Biltmore House, near the South Terrace. Alternative Destination: Biltmore Estate has an admission fee, and attracts large numbers of visitors in the Fall, especially on weekends. For a more low-key and free garden experience, try the Botanic Gardens at Asheville, set on 10 acres just north of downtown. Daytrip Destination Drive #2: Catawba Falls. Located just south of the historic town of Old Fort, the Catawba Falls trail leads along the headwaters of the Catawba River to, you guessed it, Catawba Falls. This wooded 3-mile out-and-back trail has some cool features, including the ruins of a hydroelectric dam, and is surrounded by Pisgah National Forest in full color. 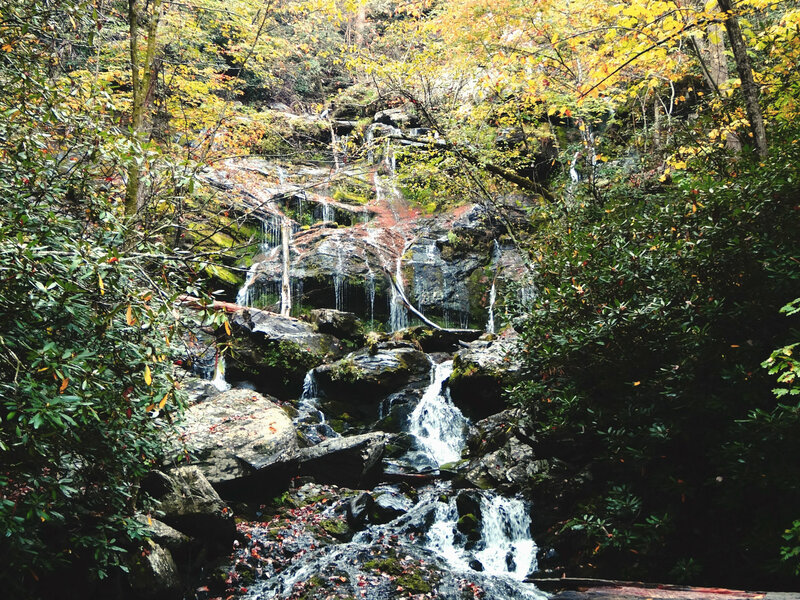 Alternative Destination: Like many well-known and widely-accessible hiking trails, Catawba Falls is going to have a lot of foot traffic during the fall season (year-round, to be honest). Looking for something a little less crowded? If you don’t need a waterfall, the Forest Service roads near the Inn on Mill Creek will provide a similar woodsy hiking experience, where you are enveloped in trees and getting up close with nature. 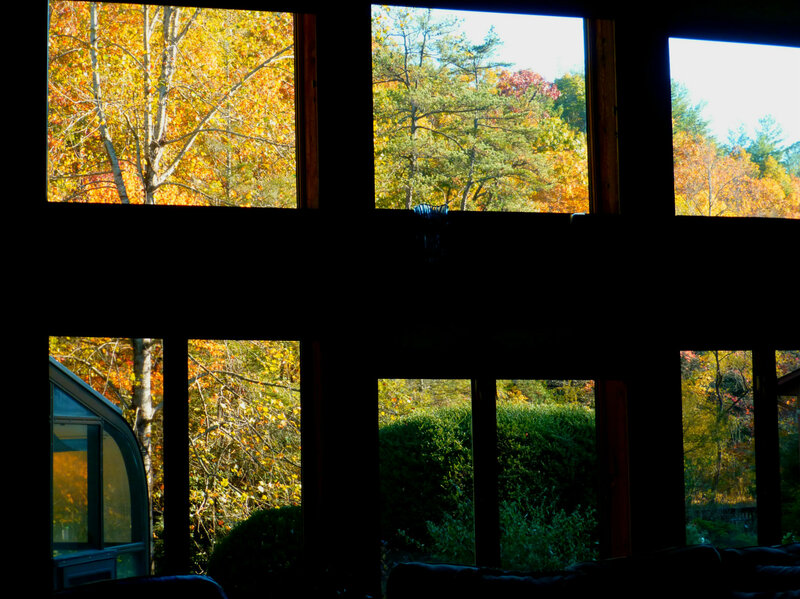 This entry was posted in Fall Color Reports, Fall near Asheville, Hiking and Waterfall Trails and tagged fall foliage, hiking, outdoors by Inn on Mill Creek. Bookmark the permalink.